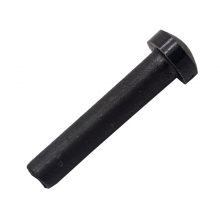 AGM stands for Airsoft Gun Manufacturer and for good reason. They are one of the best-loved airsoft manufacturers on the market today, and are well known for creating some of the top weapons out there. If you love airsoft, you'll love what AGM has to offer. From the tactical rifles and shotguns to the real-world replicas that look absolutely amazing, AGM has a little bit of everything. All of the guns, ammo, accessories and gear that they make are all of the highest quality and are made from materials like imitation wood, steel, polymer composite and others. If you love pimping out your collection, you'll love what AGM has to offer. Flashlights mounted on rifles and shotguns make seeking out the enemy at night very easy and combined with night-vision, you'll be almost unbeatable. 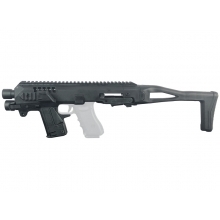 From high-capacity magazines to reliable weapons that almost never get stuck and long-lasting batteries to keep you going throughout the entire competition, AGM simply is one of the best manufacturers of modern, high-quality airsoft equipment. You'll love the amazing selection and your friends and competitors will wonder how you got such an amazing arsenal. 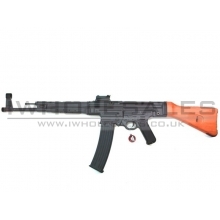 If you want the lowest prices offered by any airsoft supplier, you want to buy all of AGM equipment and accessories from iWholesalers. We have "wholesale" in our name for a reason and can give you the best products on the market for prices that are much lower than you expected to pay. 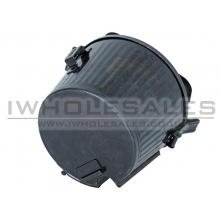 iWholesalers is the premier AGM supplier and has all of the other major brands as well, so whatever you are looking for, you are sure to find it in our inventory. We also have top-rated customer service, so if you decide to go with us, we'll follow up your purchase with great service after the sale. If you have a problem, we'll do our very best to resolve it as quickly as possible. The other airsoft suppliers have to rely on flashy advertisements and sales or promotions that almost always have some major fine print behind them. But at iWholesalers, our prices are low all the time, so we don't need to rely on those tactics. 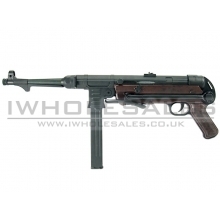 We simply provide the top airsoft brands - like AGM - at rock bottom prices. 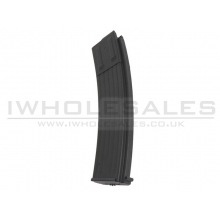 We have the selection, we have the price and we have the service that you expect from your airsoft supplier, so why not make us yours next time you need a product from AGM or any other major brand. 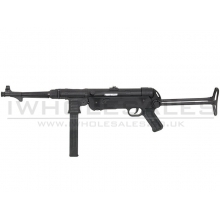 AGM MP40 AEG (AGM-007) (Black) ..
AGM MG42 Auto-winding 2500 Round Drum Magazine ..
AGM AEG SCR (Black) - 1:1 Scale - Fires at 350 FPS (0.20g Pellets) - Full Metal Upper Receiver - ..
AGM MP40 AEG (Bakelite look furniture) - 1:1 Scale - 320FPS - Hop-Up - Upgr..
AGM MK-44 AEG (Metal and Wood) - 1:1 Scale - 4.3 Kilo's in Weight - Steel Magazine - Steel Bearin..
AGM M4 Body Pins ..
AGM MP003 Shot Gun (15 Rounds) Magazine ..
AGM MP44 056 (300 Round Magazine) ..
AGM AEG, includes battery and charger. With Mostly Metal (Black Bits) and Strong ABS (Orange Bits..